What is Paidviewpoint.com? Paidviewpoint Scam? If you are concerned about the site Paidviewpoint then in this Paidviewpoint review we are going to provide you the different insight of this site. There are some questions asked by people like, is Paidviewpoint Scam? Or is Paidviewpoint Legit? Or is Paidviewpoint Fake? Or is Paidviewpoint Real? There are many sites working on the internet that help you to earn money online. Paidviewpoint is one of those sites that helps people to earn money online via paid surveys. You can earn money by completing the survey on this site. If you are not interested to read the full article, then we can provide you the brief of this article. We have placed Paidviewpoint in our “Trusted and Legit” work section. This section contain the sites that are good for working and where risk of getting scammed is almost zero. It means you will earn as per your efforts. Paidviewpoint is not a scam site. They are working to help people earn money in different ways. To know the methods of the earning, please read the full article. Paidviewpoint site is operated by the AYTM Company. This company is the one that manage and do all the administrative work of the Paidviewpoint. AYTM has its own team members and there are many members in the AYTM team. David Handel and Lev Mazin Mazini are the co-founder of the AYTM. Lev is the CEO of Aytm. Tom Tovar is one of the board member of the Aytm. Paidviewpoint is working like a paid survey site. For those who do not know about the paid survey site, paid survey site is the one that pays to its members for completing the surveys available on their site. Paidviewpoint in other words, can also be seen as the online research work company. They ask many questions which is accumulated from the advertisers of the Paidviewpoint. Advertisers are the one who is seeking for market research (for their product or some services) and you have to answer them. After completing the survey you will get paid by Paidviewpoint (not the advertisers). The question arise is that why advertiser need survey? We have seen the competition in the market is increasing every-day. There are many similar products in the market which are good and bad. To get the feedback and to make the product better for consumers. The advertisers pay different companies to survey for their product. Paidviewpoint is the site or company comes into the picture and they pay their members to completing the surveys. Survey helps the advertisers to make better their product which will be easily sale-able in the market they get an edge over their competitors. First, you have to sign-up on this site that is very common in every survey programs. After it, you have to wait for the email to get surveys. When you get the survey invitation in your email then you will be able to get total access of the survey. You can participate on that particular survey and earn money by completing it. The best part is that Paidviewpoint will not going to disqualify you in the middle of the survey. Many survey sites throw their members out in the middle of the survey without any reasons. Therefore, we generally, do not recommend survey sites but Paidviewpoint is different from others. Here, you are getting an invitation it means for sure you are going to earn money. New research or survey questions arrive to you in your email. You have 24 hours to reply those questions. Paidviewpoint offer such questions every day to its members. If you are not able to check your email daily then you can log in to Paidviewpoint. There you can check the new surveys available on their site. We recommend you to check your email daily. If you do not able to see email from Paidviewpoint then check your spam folder also. After getting the email you should log in the Paidviewpoint and click on the survey which you can see on the right hand side top corner of the page. Immediately after clicking, you get series of short questions which can be answer as yes or no. You can also need to tick mark the box. In simple speed, you can answer 10 questions in one minute. After completing the 10 questions some money will be awarded to you. Money can differentiate between the members due to their geographical location for example, member from USA can earn higher money than Asian countries. But the good point is that still, you can earn money by answering the 10 questions each day. Sometime on the Paidviewpoint you will get more surveys than usual which increase your income. Usually money awarded to members is 0.03 to 0.1USD for answering the daily 10 questions. They surveys usually to have limited time offers. It means you need to respond fast. You can also earn money by making referrals on this site. Referrals are work on the shoulder of members and that is why company pay commission to its members. You can get 20% commission on the earning of your referral money each time. But to earn money from your referrals, your referrals must be active and should earn for themselves. You earn by building your trait score on Paidviewpoint site. Paidviewpoint by its own, never ask for your personal information like other sites or survey companies but they give you the trait score. In middle of the survey they can ask you questions like your hobbies and interests. This happens almost in each and every survey. Those are the tricky questions which are repeatedly asked by them in the middle of the surveys. If you reply those question truly every time it will be good for you. But if you lie to them, they will caught you and they will lower your trait score. It is imperative to answer truly on this site because it will increase your trait score and which ultimately help to increase your earning. You can cash-out your earning via PayPal account and the minimum cash-out limit is $15 earnings. Paidviewpoint is the free site and you do not have to pay any money to join it. On this site you do not have to pay anything. Just work and be true with your answer. Answer daily and earn daily. On this site you have to verify phone or text verification before making request for payment via PayPal. This is done to check you are real or not. Or you have open a multiple account to cheat them and earn more money unethically. You have to be very careful while registering your mobile number and PayPal email address. It is because if you try to change that then Paidviewpoint will freeze your account balance for 6 months from the date you have changed it. Slow to earn in the initial period and also you will receive your commission for making referral only after when your referral cash out its earning. Paidviewpoint is a good site or we can say one of the best site among the Paid Survey sites working on the internet. We have place the true picture of the site in-front of you. It depends upon your discretion that how you work on this site and also whether you join it or not. If you have any doubt about the Paidviewpoint site, you can write us by commenting in our comment section. We will be pleased to help you. 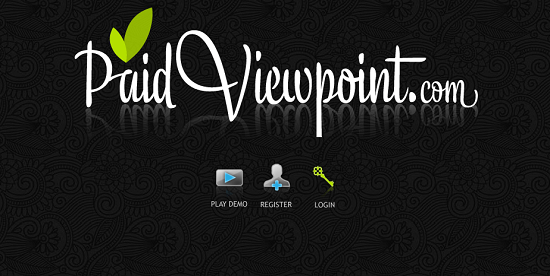 If you want to join Paidviewpoint then you can join it by clicking the above image or link in the given review. Paidviewpoint looks good but I don’t think that surveys will be available to the people from all countries. Yep, Paidviewpoint is good for those who want to earn some extra money. However, mostly surveys are available for first tier countries people. We do not know about these sites at this time. However, we will research about these websites and will let you know about them. No, you will not earn $25 when a new member join paidviewpoint through you. You will be credited when your referral cash out their earning. If you are not from the first tier country then reward will be low. However, if you have good number of referrals then you can earn some good money with this website.